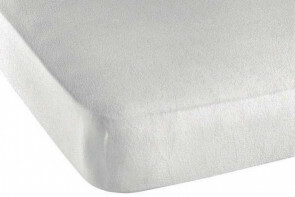 Memory Silver is a memory foam mattress with anti-bacterial cover with silver ions. For a healthy and salutary sleeping environment. 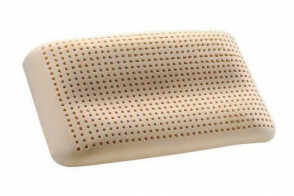 Memory Air is a transpiring memory foam pillow with hypoallergenic and anti-bacterial properties. It follows the neck and head lines. With 3D fibre. 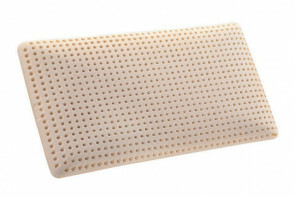 This mattress cover in cotton terrycloth with elastic band protects the surface against stains, dust and wear. Easy to fix on the mattress and wash.
Air transpiring cotton terrycloth mattress cover guarantees a healthy sleeping surface. It is characterised by corners to fix it under the mattress. 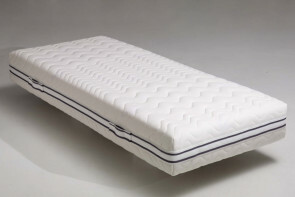 Air is a thin mattress Topper which soften the mattress surface and protects it from against stains and wear. Sides with elastic strips to easily keep it in place. 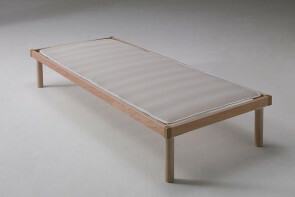 Air is a slatted bed base cover to protect the mattress made of polyester. 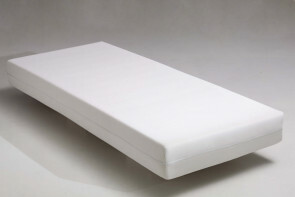 It makes the base surface more comfortable and protects the mattress from wear and use. Square decorative cushions in fabric, leather or eco-leather. 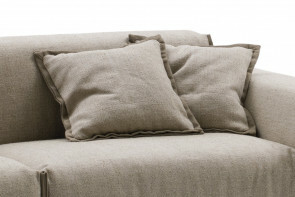 Cushions with a versatile look for Milano Bedding sofas or models already owned by customers. 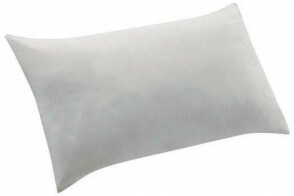 Latex is a transpiring pillow with hypoallergenic and anti-bacterial properties. Cotton lining; also with terrycloth cover. 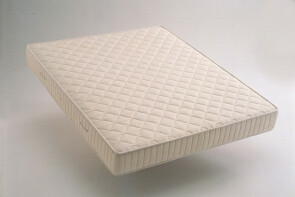 Anatomico is an anti-mite sprung mattress with winter and summer sides with different paddings. It guarantees a comfortable, firm and elastic support. 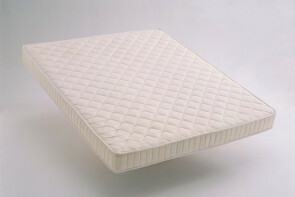 Latex is a mattress with 7 different comfort zones and elastic, antibacterial and hypoallergenic properties. Removable cover with double padding. 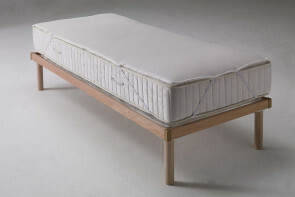 Pocket is a mattress with pocket springs characterised by 7 different comfort zones. Also with layers of memory foam with "shape memory". 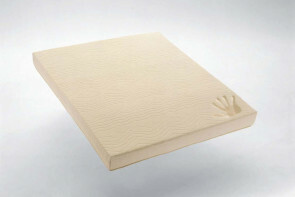 Memory Air is a hypoallergenic and anti-mite memory foam mattress with transpiring properties. Honeycomb 3D net for a great sleeping environment. Micropocket mattress with pocket micro-springs with 7 different comfort zones. Ideal for a firm and comfortable support while sleeping. 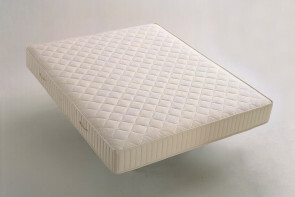 Superb is a mattress with double pocket springs and memory foam layers. 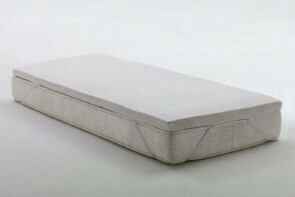 A transpiring and fireproof mattress with anti-sinking perimetral support. 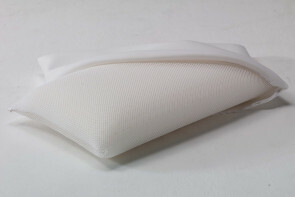 Standard is a cm 50 x 80 pillow for the bed with cotton lining. Also available with an optional terrycloth cover to protect it against dust and stains. 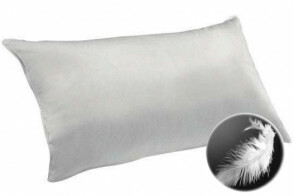 Piuma is a soft white goose down pillow for those who like to sleep comfortably. 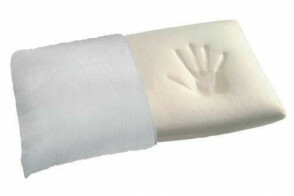 A cotton lining is already included, with the possibility to add a terrycloth cover. Designers Guild square fabric cushions 40x40 and 50x50 cm. A decoration for sofas and beds with exclusive designer fabrics available in three patterns.